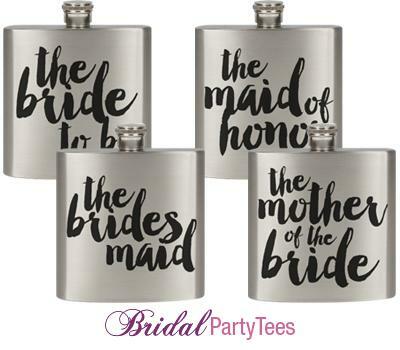 Personalized stainless steel flasks are great for the bridesmaids at the Bachelorette parties, gifting the Groomsmen at the Bachelor party and St. Patrick's Day! Hand wash. Do not place in dish washer. PLEASE NOTE: If our art or your upload contains the color white, it will not print and be reflected as the color of the item. Bride to be! 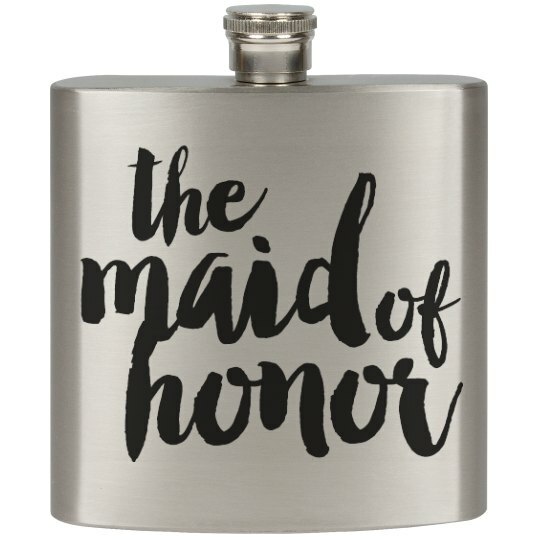 Get your maid of honor this cute stainless steel flask as a gift to thank her for the long nights of helping you plan your wedding! It's perfect for her to take to your bachelorette party or use anytime before the wedding.